Do you just need a few days a week to get your errands done and take care of your personal needs, or do you need full time or overnight care for your loved one? Why Gulf Coast In-Home Care? Gulf Coast Social Services specializes in offering individualized services to thousands of families across Louisiana. 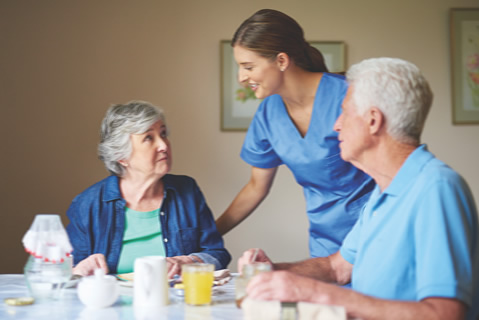 Our in-home care services are designed to help you or your loved one maintain an independent and fulfilling lifestyle in a way that is caring, convenient, and safe. We strive to help you take care of the daily responsibilities and alleviate your worries. Gulf Coast is experienced in serving thousands of individuals and families in every circumstance possible. We have skills to deal with distinctive personalities, flexible schedules, and unique needs. We are ready to answer all of your questions, address any concerns, and work with you to create a personalized plan of care. adjust the plan of care, if needed, based on the results of the in-home reviews. For more information, call a Gulf Coast In-Home Care Representative. We will be happy to conduct a free in-home care assessment.